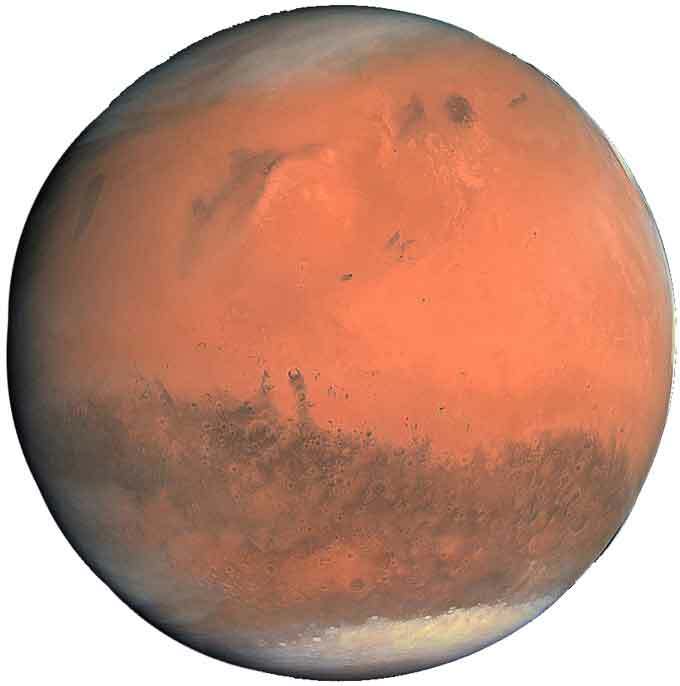 Mars, also known as “red planet” due to its reddish color. It is the fourth closest planet to the Sun and a terrestrial planet means its surface is rocky like our Earth. Mars is smaller in size than the Earth, if the Earth is the basketball than Mars would be the size of a softball. Mars has two moons one is “Deimos” and other is “Phobos”. Phobos is the closest moon to the Mars that orbits at 5,954 Km (3,700 miles). It is closer than any other moon that around their parent planet. Mars surface is dry so it has huge dust storms and high-speed winds, it sends dust miles into the atmosphere. Mars atmosphere is much thinner than the Earth, so it can’t block enough heat coming from the Sun. The average temperature on the Mars during winter is -82 C (-125 F) and -5 C (23 F) during the summer. 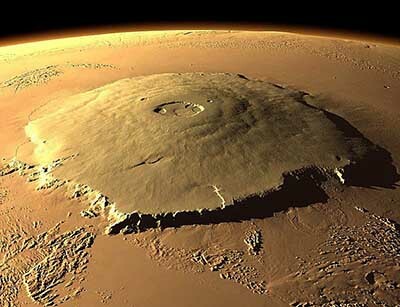 It is the largest volcano in the solar system. Its height is 25 Km (16 miles) about three times as high as Mount Everest. It stretches 624 Km (374 miles) across the Martian surface. It is the largest canyon on the Mars and also in the solar system. It spans about 4000 Km (2500 miles), some of its regions are 10 Km (6 miles) in depth. This Martian feature is clearly seen with a telescope from the Earth. The surface of Mars is made of rocks and a thick layer of dusty iron oxide, which is responsible for its reddish color. Mars has three layers crust, Mantle and the core. Martian core doesn’t move, therefore no magnetic field is present to protect the Mars from the Sun’s radiations. Today, Mars don’t have flowing water, but Martian features show that liquid water was once flowing on its surface. The temperature on the Mars is too cold for the water to remain in the liquid state, so water exists on Mars in form of ice. The first spacecraft to send the close-up pictures of Mars was Mariner 4, it visited Mars by fly-by in 1965. 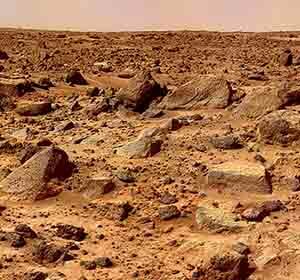 In 1976, Viking 1 and Viking 2 successfully landed on the surface of Mars and became the first space crafts to touch the Martian land, they sent us back the color pictures of the Martian surface. In 2003, two space crafts were sent to Mars each containing a Mars rover, they were “Spirit” and “Opportunity”. These Mars rovers are controlled by scientists here on the Earth. 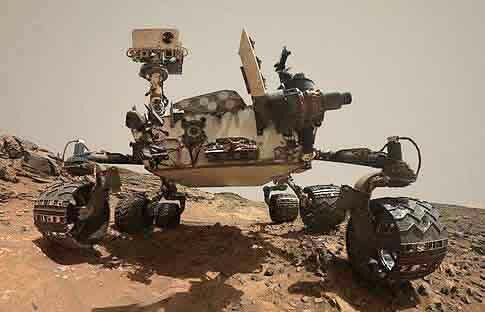 By August 5, 2012, the latest Mars rover was sent to the Mars. Today, two Mars rover are active, they send back and receive data. One is the Opportunity and other is the Curiosity. The next challenge on Mars exploration will be to send the humans to Mars. Abdul Wahab, "Mars," in Science4Fun, April 13, 2019, http://science4fun.info/mars/.